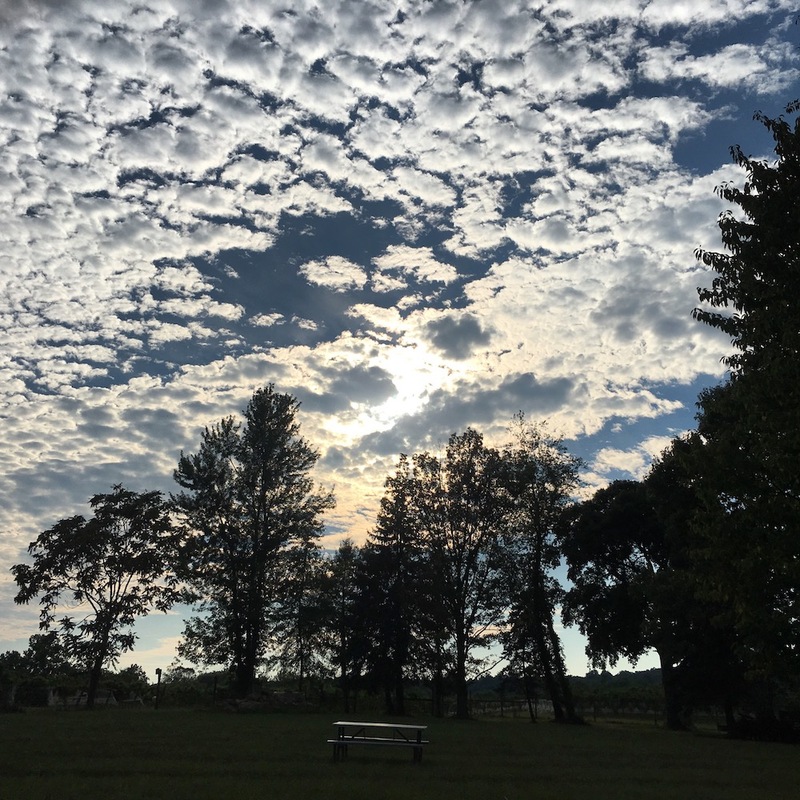 Weather cools, and we begin thinking of Zephaniah Farm Vineyard in Leesburg, Virginia -- one of our favorite fall and winter wine destinations. We have a long list of wonderful wineries from around the world to share with you as I write this very post, but we're talking about Zephaniah now in mid-November because we really hope you'll take the time to visit the farm this winter when it's at its best. You will feel at home from the moment you walk through the tasting room door in the old farm house, settle in next to the cozy wood fire, taste their great lineup of small production wine, and enjoy the hospitality that only a family winery can share. Now under the care of Bill Hatch and Bonnie Archer, the farm has been in the family for generations. 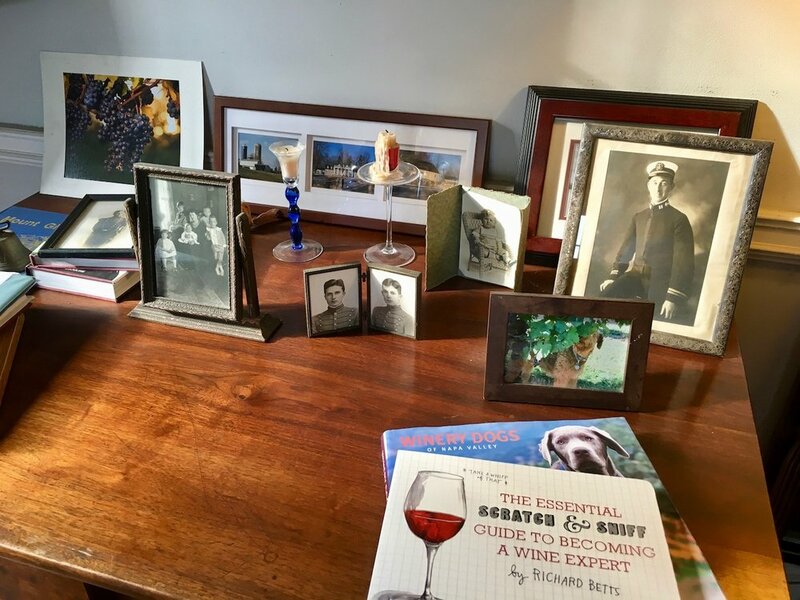 There's a lot of history here, from the grass fed beef that they still raise, to the old pictures of Zephaniah himself -- a Navy Captain -- to Bill's and Bonnie's grown children who are very much a part of the winemaking operation today. They've grown the vineyard to ten acres that yield about 1200 cases per year in the ten years they've spent producing wine here. Small production, in this case, is an easy euphemism for "every bottle made with great passion and care". We tasted the lineup earlier this fall, and know for a fact that they've released new bottles since then. You will not regret the drive from Washington, DC to some of the best of Virginia wine country when you spend a day visiting Zephaniah to taste for yourself. This blend of 58% Chardonel, 24% Cabernet Franc (yes, in a white! ), 10% Petit Manseng, and 8% Vidal takes advantage of several grape varieties that tend to perform very well in Virginia. The blending partners and percentages change every year to take advantage of the each vintage's little growing and harvest quirks, so Steamship White stays unique over time. In the 2014, honey suckle and kiwi in the nose transition to sweet, ripe mango in the palate. Adeline (named for Zephaniah's wife) begin life in its first vintage as a sweet dessert wine. Now on its third vintage overall (so the second year that it's been made as a non-dessert wine), the Adeline has become a highly floral wine with notes of lemon grass and pine trees in summer. The 2015 blend features Muscat Ottonel (53%), Vidal (26%), and Petit Manseng (22%). Blending Cabernet Franc and Chambourcin with seven months of aging in neutral French oak has produced a nice hearty rosé with a bit briny nose that reminds us of good mussel dishes. The palate is completely different, giving us a strawberry and cream sense, and reminding us of Swedish fish. Yes. Give it a try. We enjoyed it enough to include in our top five October wine picks last month! The 2013 Cab Franc throws a very striking vanilla nose with a bit of almond for good measure. The palate is a bit more tart than some other Virginia Cab Sauv, though we do pick up the telltale (white) pepper notes with some delightful raspberry cheesecake notes on the side. This bottle is actually 89% Cab Franc and 11% Cabernet Sauvignon, but checks out as a Cabernet Franc because the ratio of Cab Sauv is so low. Our favorite in the lineup, the 2012 Three Captains has been around long enough that we've been able to see it evolve in the bottle... it continues to evolve very very well. Smoke and red cherry greet us in the nose, while a fuller body is complimented by notes of sweet and sour cherry courtesy of the Chambourcin grape (53%) for a smooth experience that (we'll say) "tarts up" nicely in the glass. Try it with chocolate. In addition to the Chambourcin, this wine -- named for the family history of sea farers made obvious by the black and white photos that adorn the house -- has been blended from 41% Cabernet Franc and 6% Cabernet Sauvignon to take home silver medal honors in the Virginia Governor's Cup for 2014, 2015, and 2016. Back to the mono-varietals (i.e. wine made from one or vast majority one grape varietal), our taste of Chambourcin came from a bottle that had been open for a couple of hours. That time to breath gave us a wine that is a bit tart with some new fruit, but super mellow with notes of baking spice. Room temperature is not this wine's friend because it is so good when either slightly chilled or served hot as a mulled wine. Zephaniah's Chambourcin always tastes like winter holidays (all of them) in a glass!